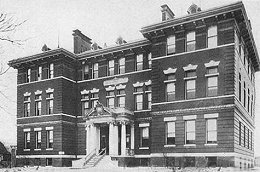 An Asylum for the support, education, and training of Hebrew orphans and half-orphans of both sexes. Capacity, 80. Present number, 80. Children are received between ages of six and fifteen. Asylum supported by voluntary contributions. For admission of inmates apply to Committee on Orphans at the Asylum.